Slicer constructed of 18/8 stainless steel. Best quality German blade, hardened 65 Hrc, and hard chrome plated 14 microns. 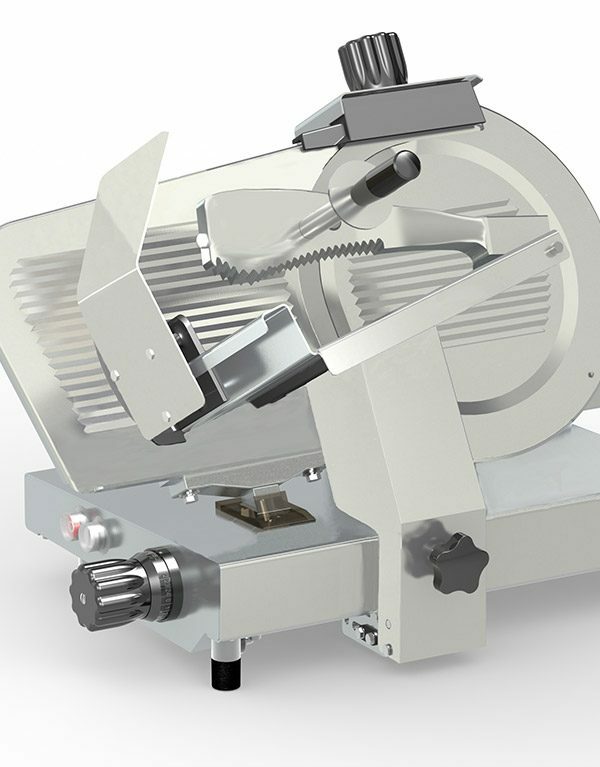 Automatic blade sharpener conveniently attached. Single phase motor 230V. or three phase 230/400V, with cooling fan, maintaining a low operating temperature. Tilt-away product carriage swings clear for easy cleaning.